Improve the success of your new product by identifying the right type of product to build. One of the most popular ideas to emerge in startupland in recent years is Eric Ries’ concept of building a "Minimum Viable Product (MVP)", introduced in his book The Lean Startup. In his own words a "A Minimum Viable Product is the version of a new product which allows a team to collect the maximum amount of validated learning about customers with the least effort." 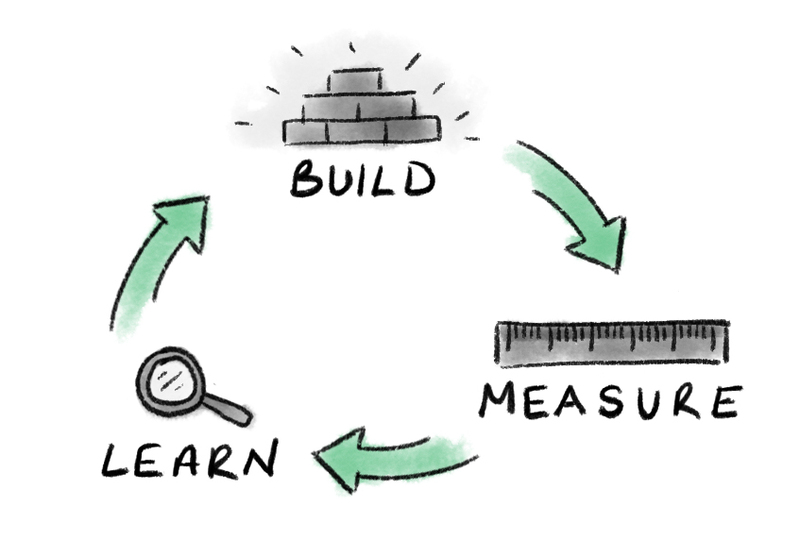 The core principles of a successful MVP are Build. Measure. Learn. Repeat. Following this process will help you learn about your target customers and the problem you are trying to solve. Using the MVP concept you can validate that you are actually solving a real problem before you waste too much time and energy on a product nobody wants. Using the the MVP method you can create an early version of your product that is optimised for maximum validated learning with the least effort. When we build products, we make assumptions at each turn. MVP is just a method of reducing this guesswork. A lot of the problems with MVP come from companies not understanding why MVP was created and what it sets out to achieve. Companies release incomplete products, missing many core features, slap an MVP sticker on it and use it as an excuse to release a half-baked solution. For many companies MVP is a gateway to mediocrity. The risk is that MVP becomes “what can we get away with” instead of how can we learn about our customers and validate our assumptions. Another risk is MVP becomes the only way a company builds products and product teams are unable to switch gears depending on the circumstance. For example, it would be fine to apply MVP to a new recommendation engine you want to trial to promote relevant content, but you wouldn’t want that mindset applied to payments or authentication. Once this corner-cutting approach is taken to your product, it won't be long before it becomes the mindset of the entire organisation. Customer expectations have changed a lot since Ries introduced MVP in 2011. 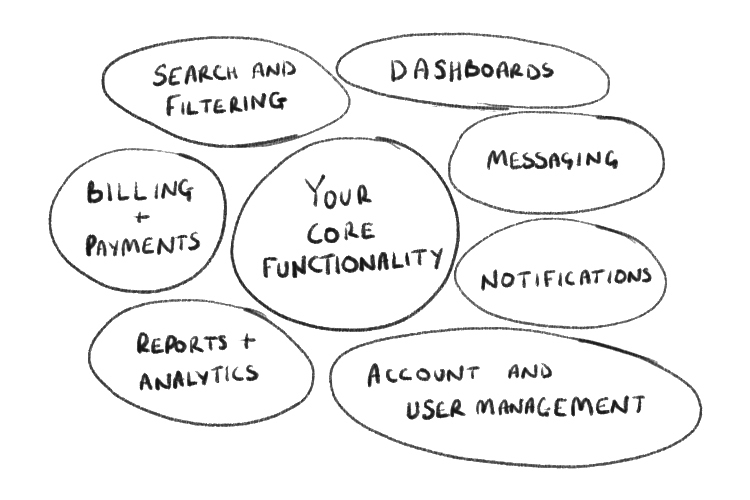 Non-core features like messaging, reports and analytics, single-sign-on, recurring billing and notifications all take a long time to build, yet releasing without these features can be perceived by users as incomplete. If MVP is the version of a new product optimised for the maximum amount of validated learning about your customers with the least effort. 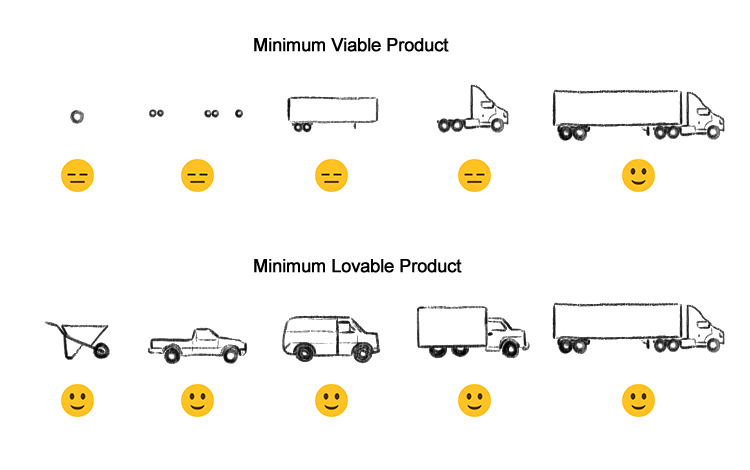 A Minimum Lovable Product (MLP) is the simplest version of your product that you can release that users will love rather than just tolerate. With this approach the product life cycle becomes customer-oriented. When building an MLP the user and thier experience is at the heart of the planning, not just an afterthought. By paying attention to small details that promote customer loyalty at every step of the way, you can build a product that will have your users’ singing your praises. How do you decide which features make it into your MLP? I have always had a belief that if you do one thing really well, better than all your competitors, your users will notice. To build a successful MLP, you need to clearly define what not to build. It takes great discipline to not add features. "It’s better to build something that a small number of users love, than a large number of users like." What is the core pain point that your solution solves for your target customer? By focusing on providing elegant solutions to your customers most painful problems, in a simple and delightful way, you will be far more effective than trying to cram all your competitors’ features into your into your early version of the product. With MLP you are aiming not just to solve a problem for your users, but to delight them in the process. When you build a product without compromising on the quality part, your customers will notice and begin to spread that word of mouth. So, when should you build a MVP vs a MLP? The best way to think about it is to ask yourself "Do my target customers currently have a good alternative to my solution for the specific pain-point I am trying to solve?". If the answer is yes, MLP is usually the way to go as you can focus on making your solution the best at solving that one thing. By doing this you will be differentiating yourself and your product from your competition by how you solve the problem. So, as you set out to build your next product, ask yourself what is the right type of early product to introduce to the market. 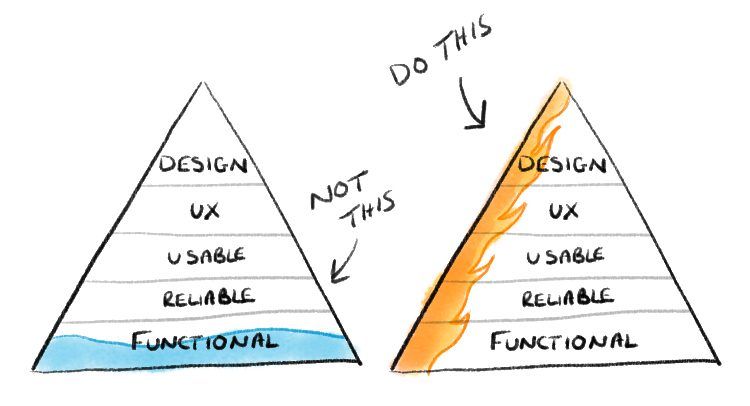 In most cases building an MVP, will not meet the expectations of today's users and leave them looking for another solution. So unless your product solves an extremely painful problem, you may be better off exploring what your Minimum Lovable Product looks like and hopefully you will be rewarded with the loyalty of your early customers!